Welcome to the world of Logiblocs, the electronic discovery system that helps children understand the automatic and interactive world we live in. Logiblocs were launched at Harrods London in 1996 and over 5 million blocks have been sold throughout the world. 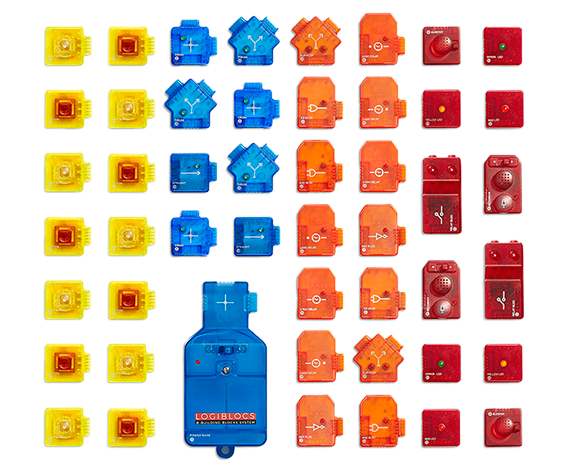 Logiblocs are colour coded transparent plastic blocks with electronics inside, each with its own function. They are presented as electronic kits or science kits that can work together. By plugging together the modular parts children can build control systems and gadgets that are fun and sometimes even useful! Children can set up their room with door alarms or even record and play back secret messages automatically. 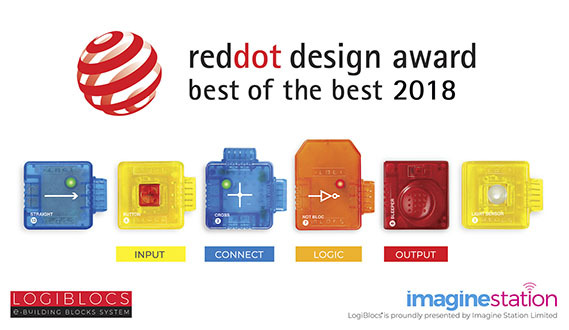 Logiblocs have proved popular in education and are used in over 4,000 schools in the UK and in a growing number of countries where there is a need to teach the subjects of control or design technology in the curriculum. Children do not need to know anything about electronics. Children as young as 5 soon pick up the concept and enjoy the coloured lights and sounds produced following the easy step-by-step instructions.